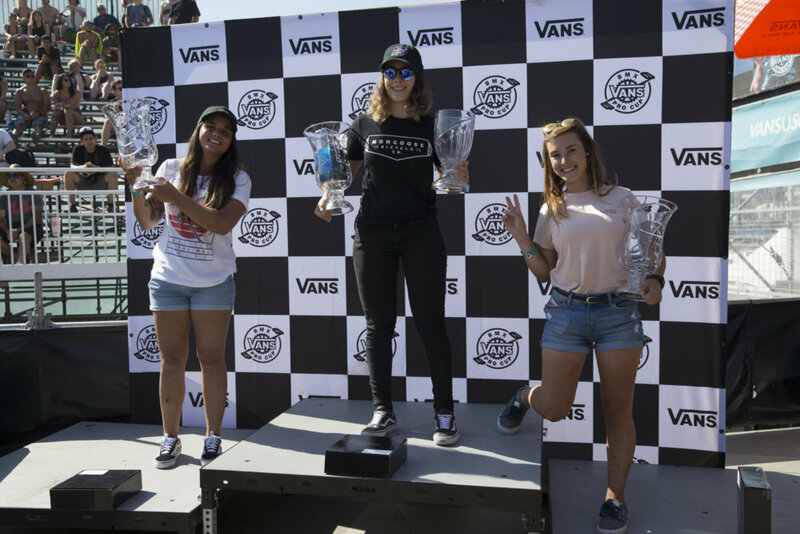 Huntington Beach, CALIF. (August 6, 2018) – The Vans BMX Pro Cup took flight in Huntington Beach, CA yesterday as 35 of the world’s best men and women park terrain BMX riders competed for the final rounds of 2018 Pro Tour stop #2. 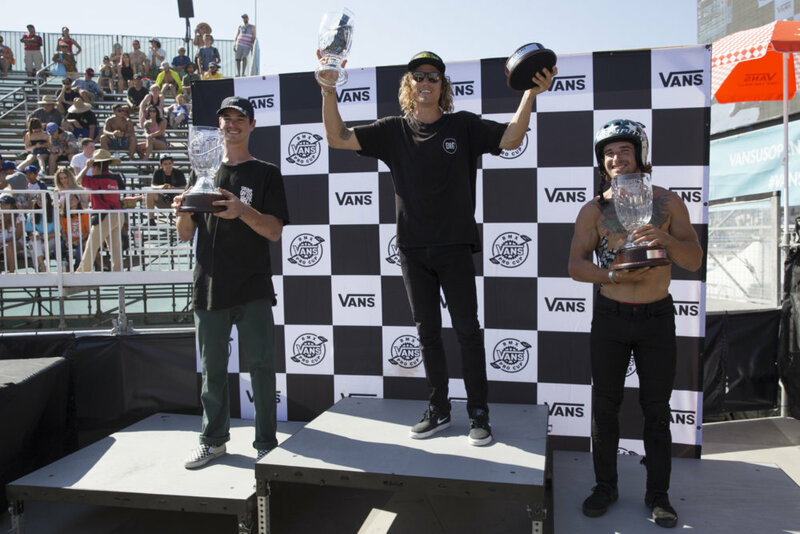 Capping off the week-long celebration of action sports at the Vans US Open, the Vans BMX Pro Cup Series crowned winners Dennis Enarson and Nikita Duccaroz in front of massive crowds earlier this afternoon. 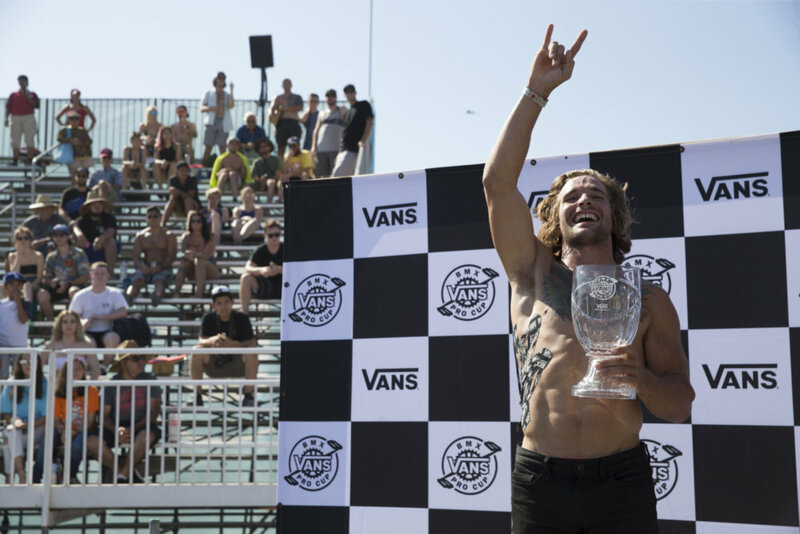 Annihilating the custom-spec Vans Pro Park, defending Vans Pro Cup Huntington Beach event winner Dennis Enarson triumphed once again, going back-to-back with his signature transfers and a gravity-defying backflip tailwhip to stun the Surf City crowd. 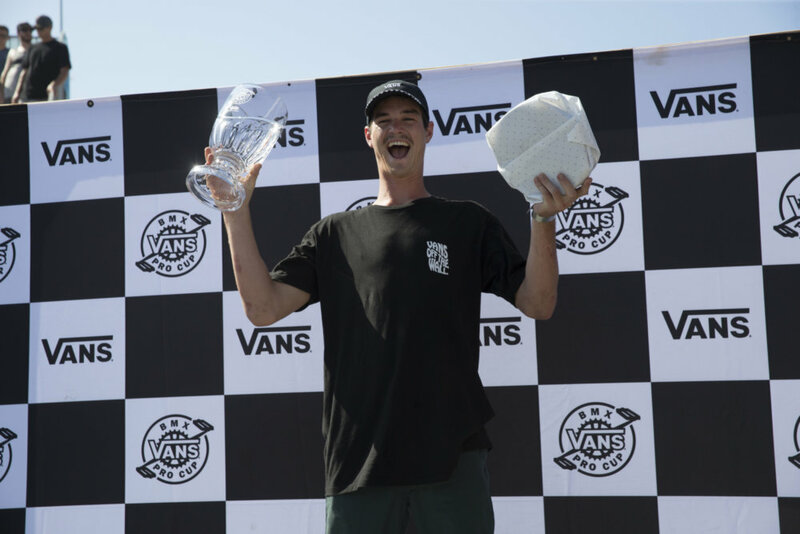 “Winning the Vans BMX Pro Cup here in Huntington Beach so close to home feels amazing,” said first place winner Dennis Enarson, who grew up in San Diego. 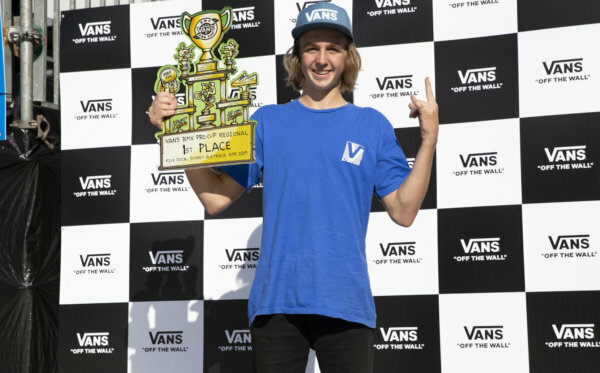 Rising up the ranks, Brisbane local Alex Hiam’s consistent technical runs offered an impressive alley-oop 270 pocket air out of the spine, placing him in 2nd and earning him the Vans Best Line Award. 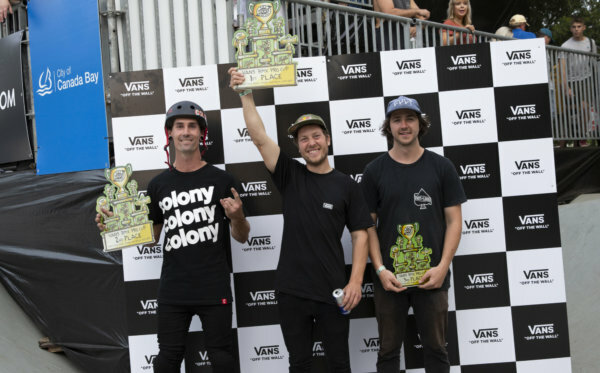 Bouncing back from a heavy crash during practice, 2017’s Vans BMX Pro Cup World Champion Larry Edgar persevered, busting out a supercharged 360-to-fakie in the deep bowl and colossal 16-foot airs to take the event’s High Air Award, Best Trick Award and a strong 3rd place podium finish. 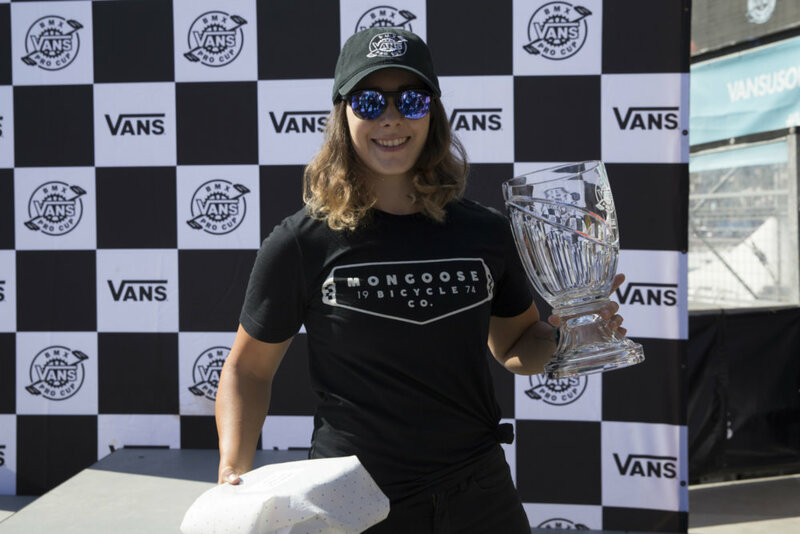 Pushing the boundaries of women’s BMX, Nikita Ducarroz’s solid bike control and stylish 540’s on the big quarterpipe won her the women’s Best Trick Award and her first Pro Cup victory, proving her ranks to continue on the series’ 2018 Pro Tour. With persistent amplitude throughout the entire course, Chilean rider Macarena Perez conquered 2nd, while Spain’s up-and-coming Teresa Azcoaga’ssmooth, powerful riding placed her in 3rd. 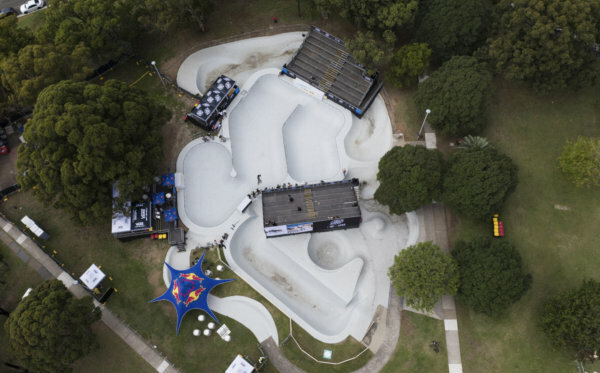 The 2018 Vans BMX Pro Cup Series heads to Guadalajara, Mexico on August 24 – 26 for the next stop on the world tour.